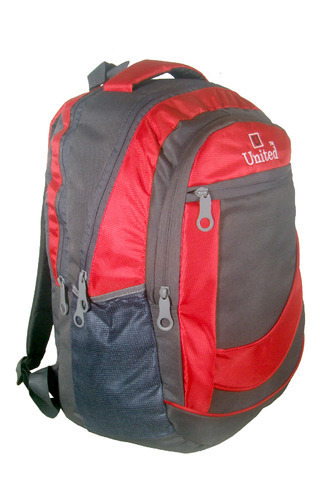 We offer a wide range of Backpack Bag. These bags are praised for their appealing look, lightweight and easy maintenance. We make use of top quality raw materials to manufacture these bags and ensure maximum durability, reliability and rough and tough usage. Demands of these bags are increasing day by day owing to its high load bearing capacity. Incepted in the year 2007, Point Of Origin is one of the reckoned enterprises of the nation readily indulged in manufacturing and supplying a wide variety of Backpack Bags, Duffle Bags, Trolley Bags, Women Hand Bags, Ladies Clutches Bag, Travel Air Bags, Gym Bags, Corporate Gift Bags. The products we offer are made-up and designed in close precision with the pre-defined principles of supremacy using top notch basic material and modern amenities. As well, these products are well-reviewed strictly on a number of margins before final delivery of the consignment. Also, these products are credited and praised amid our honored patrons for excellence & rugged designs and has received us a foremost standing in this highly competitive market.